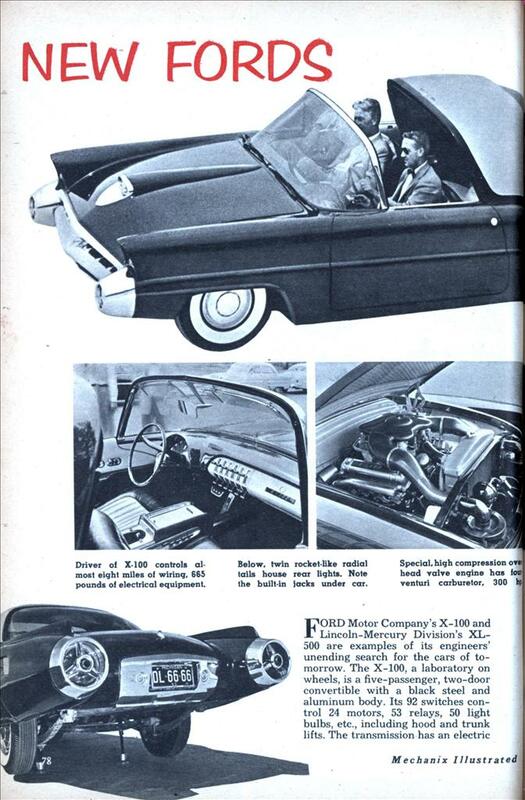 FORD Motor Company’s X-100 and Lincoln-Mercury Division’s XL-500 are examples of its engineers’ unending search for the cars of tomorrow. The X-100, a laboratory on wheels, is a five-passenger, two-door convertible with a black steel and aluminum body. Its 92 switches control 24 motors, 53 relays, 50 light bulbs, etc., including hood and trunk lifts. The transmission has an electric gear selector. The front seats feature nylon web safety belts and electric warmers. They adjust six ways—up, down, forward, backward, and tilt front and back. The XL-500 experimental sports car has an automatic push button transmission, scarlet Fiberglas body and all-glass roof, tinted, glare-proof and heat-resistant. It seats four passengers on its leather upholstery. 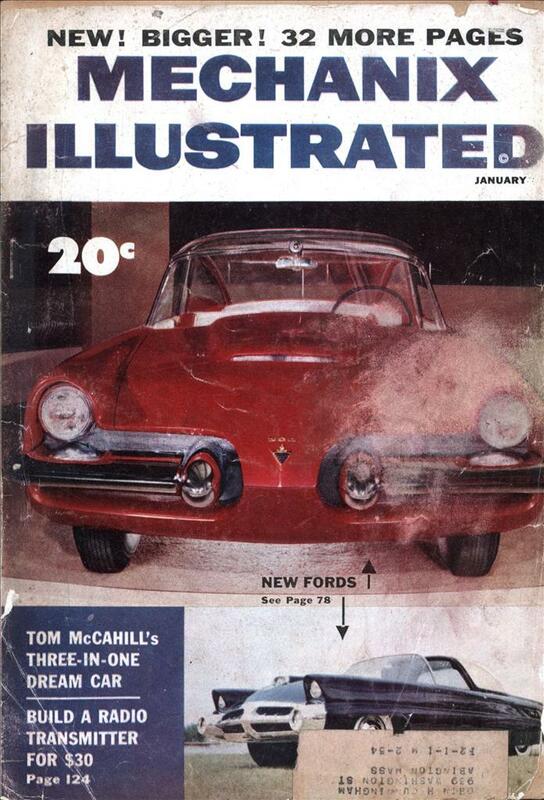 Of course, the X-100 later became famous as the Batmobile.